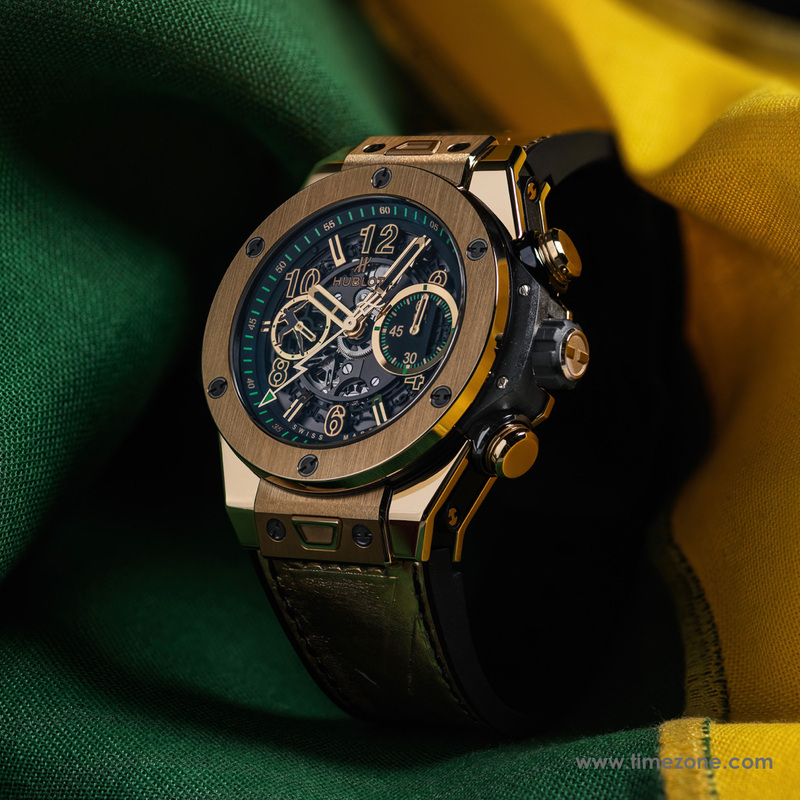 On the athletics track of Rio de Janeiro is Omega who is in charge of timing to Usain Bolt, but outside them, watch what takes the fastest man in history on the wrist? 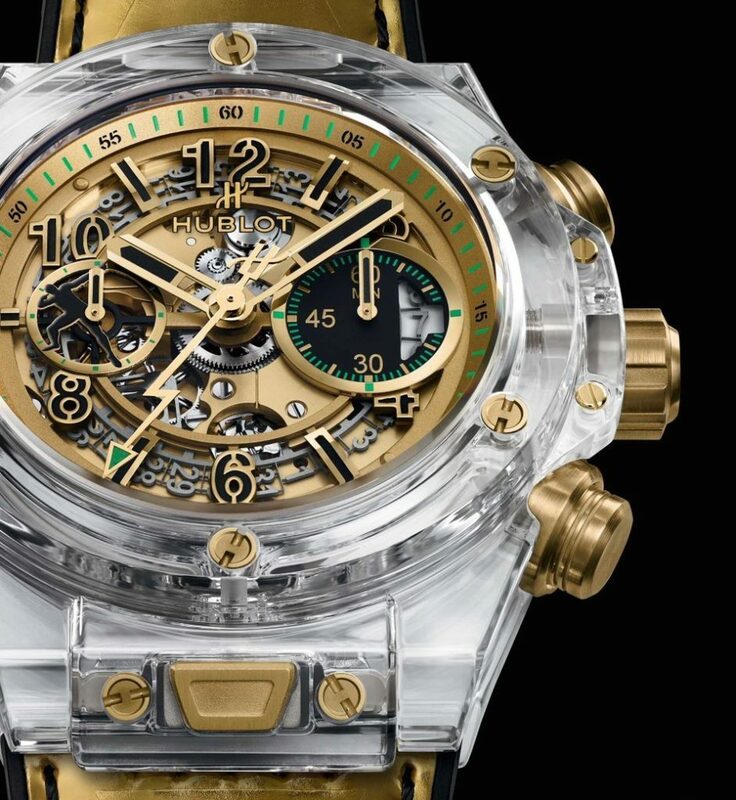 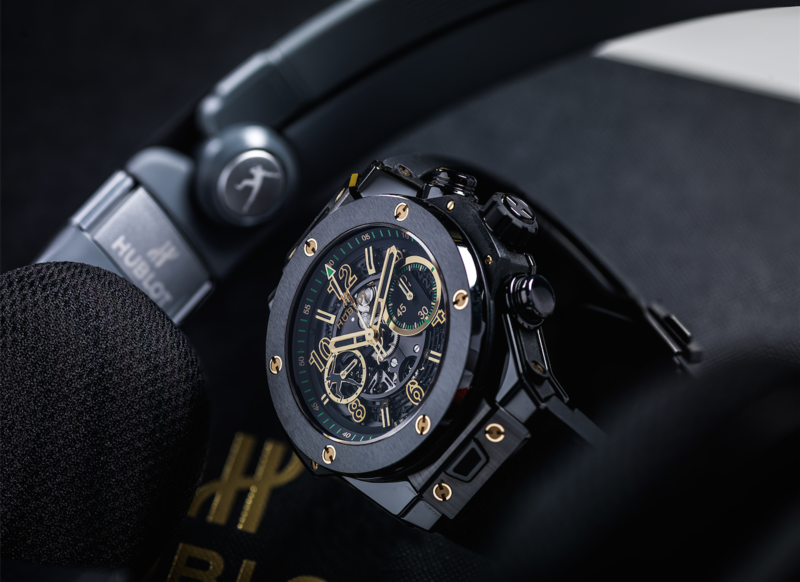 Neither more nor less than his own limited edition Hublot Big Bang Hublot Unico Usain Bolt. 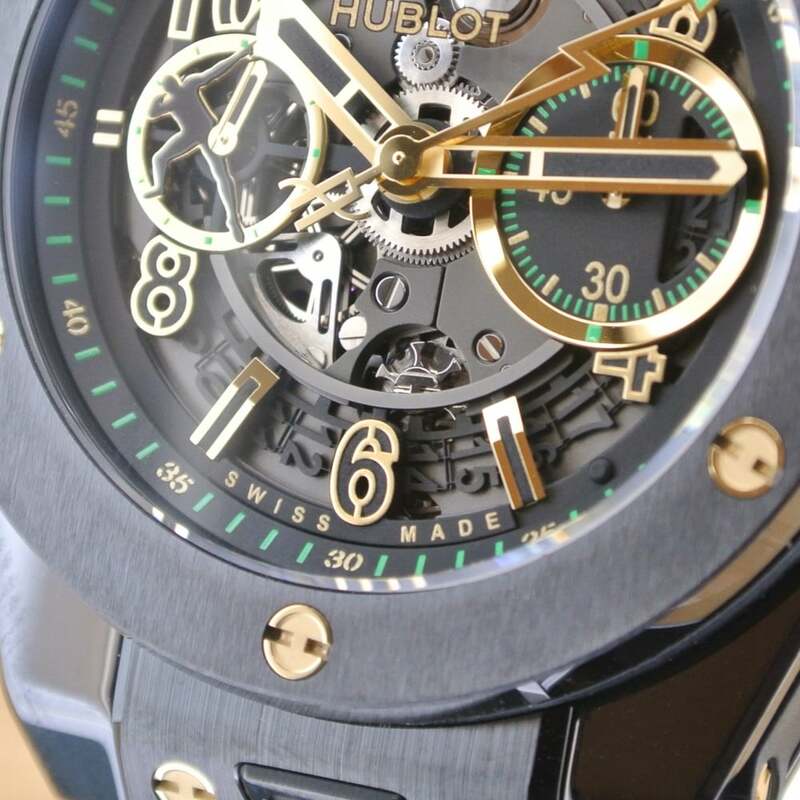 It is always easier to choose what to watch you get when you have one that bears your name, I guess. 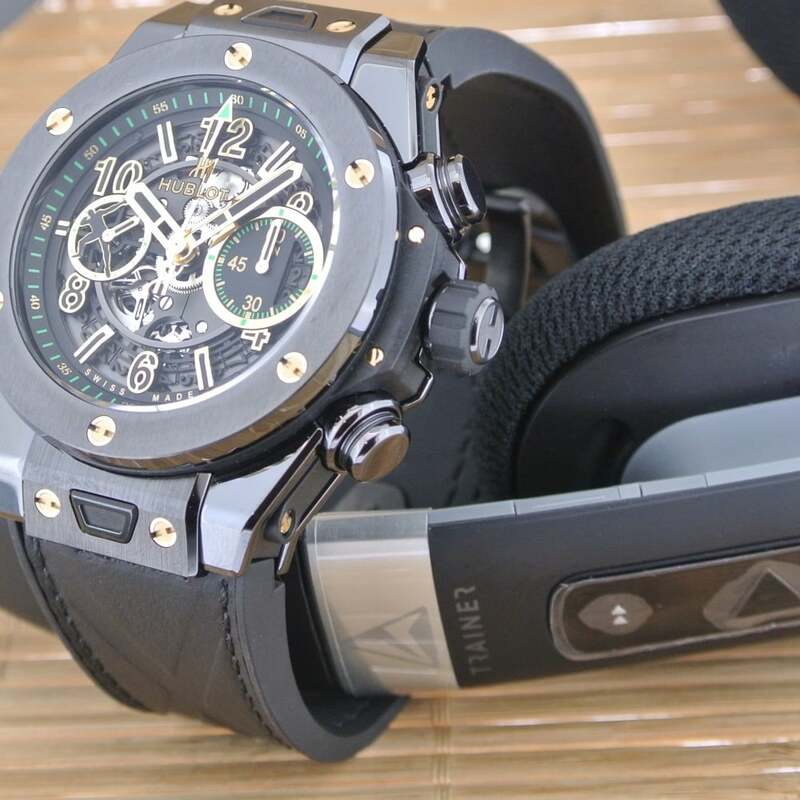 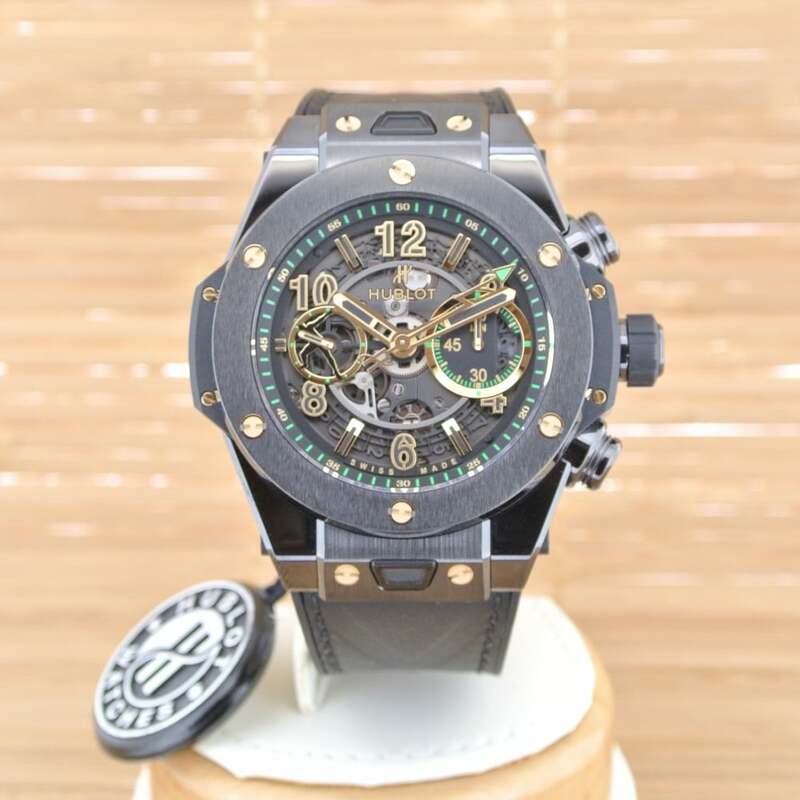 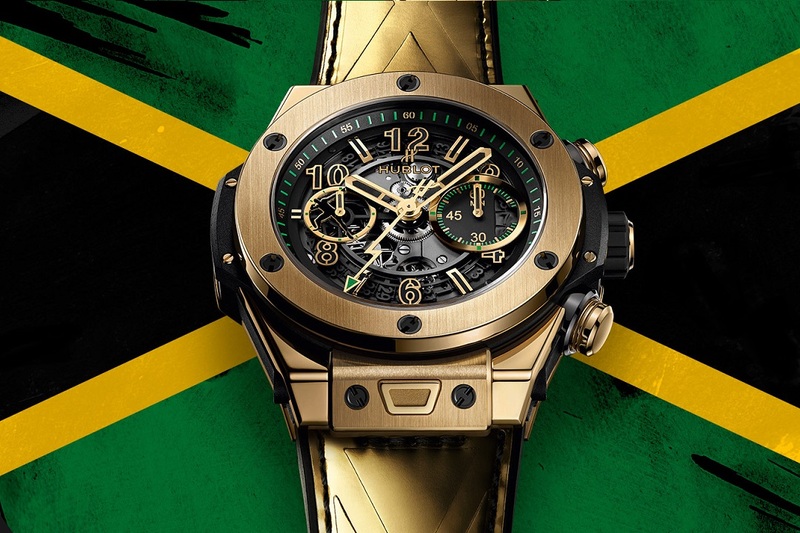 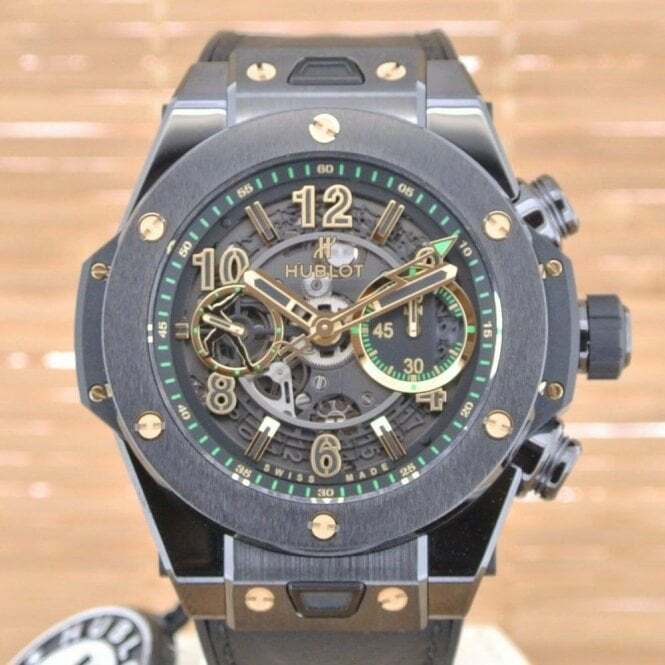 The Jamaican athlete is an ambassador for the firm since 2010, like many other sports personalities, from Kobe Bryant to Mourinho, and in 2012 he had his own limited edition, the Hublot King Power Usain Bolt. 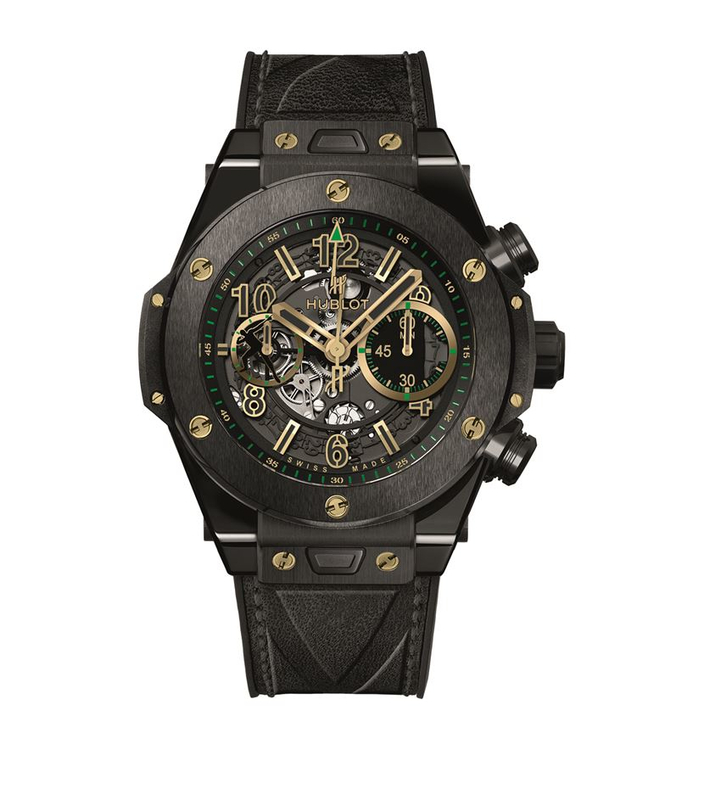 This year, Hublot has introduced two new limited editions of the Big Bang Unico dedicated to the sprinter. 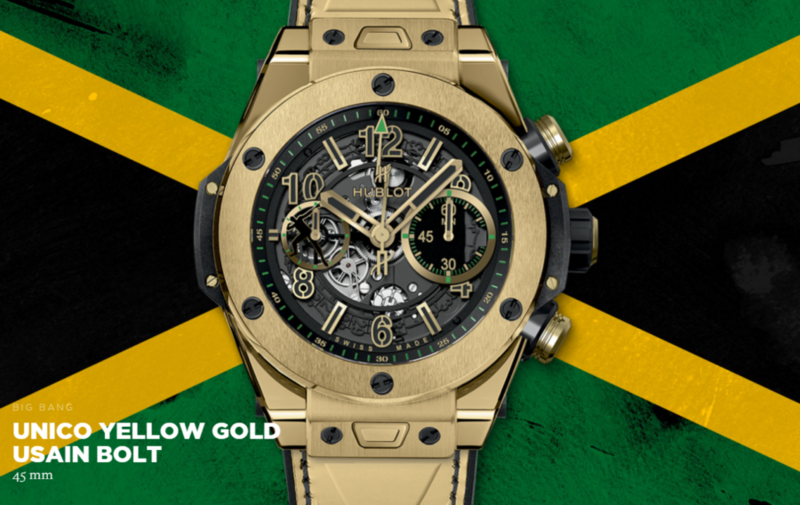 The first one is made of yellow gold 18K, matching the 7 gold medals Bolt (who will become 9 in a couple of days, except surprise), and even his belt, rubber and leather, recourse a bright golden hue, similar to what we saw in the King Power Usain Bolt, plus look engraved silhouette of the Jamaican flag. 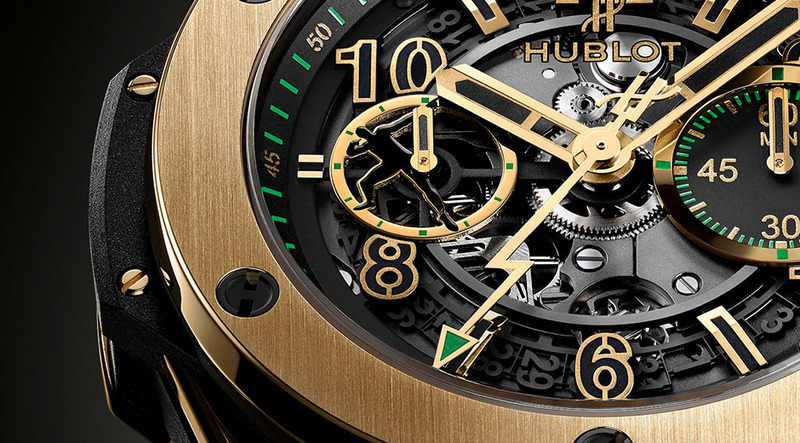 The second, more discreet, limited edition uses a black ceramic case combining polished and satin finishes, limiting only to gold bezel screws. 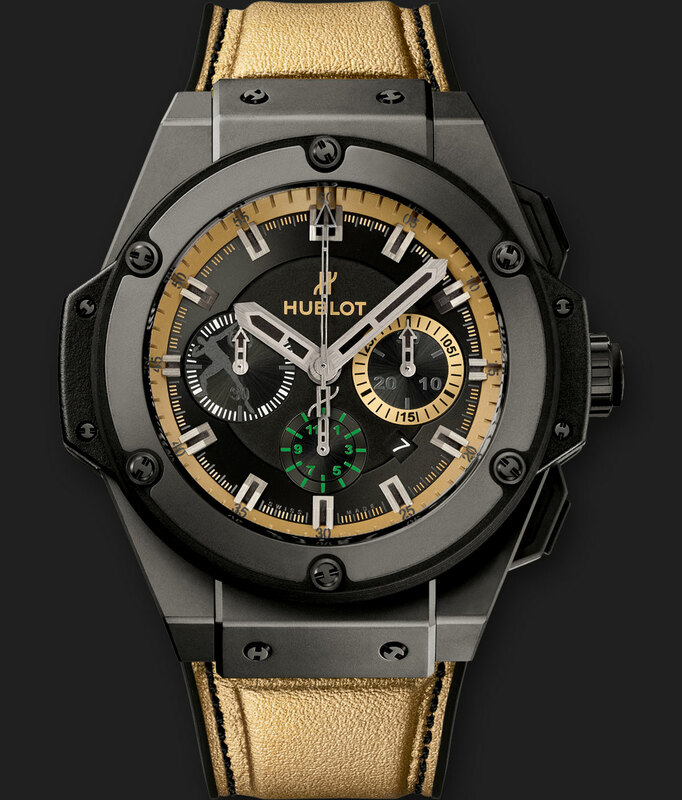 In this version, the strap also abandons the gold to benefit the black. 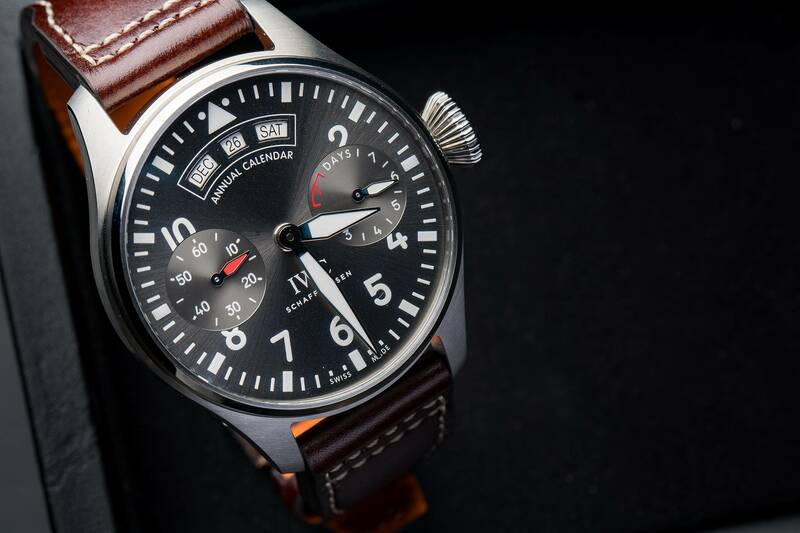 In both versions found in the area the classic pose of Bolt present in the small seconds located at 9 o’clock, central seconds and the lightning bolt. 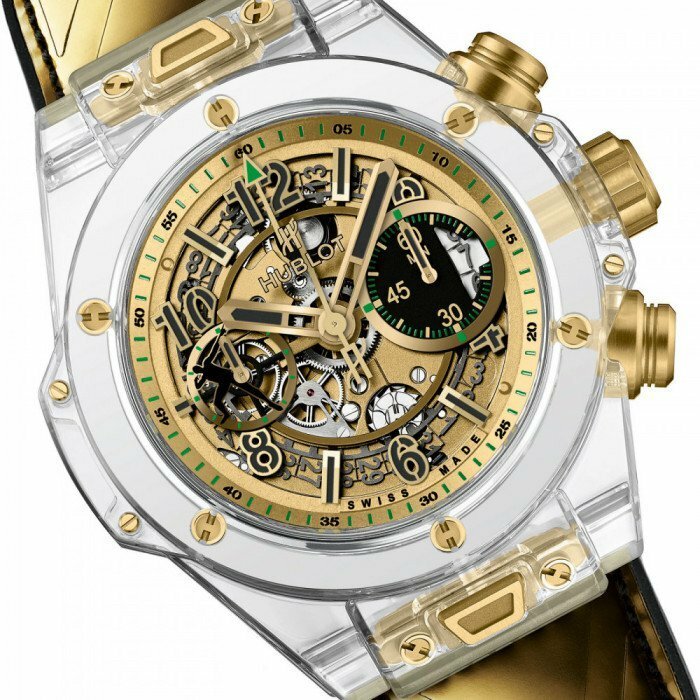 Otherwise, it retains the classic aesthetics of the Big Bang Unico series we’ve seen in other limited as those of Italy Independent editions. 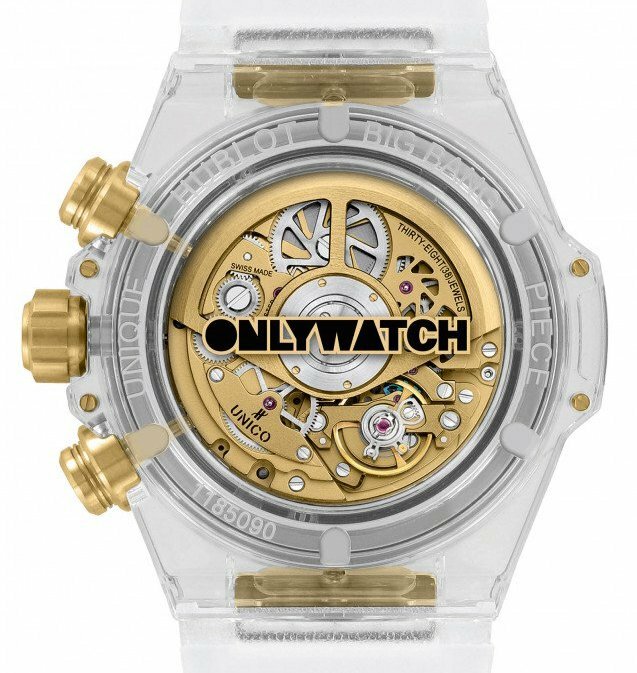 With a strong box of 45 mm, inside is the caliber manufacturing HUB1242 UNICO, flyback chronograph automatic movement, beating at a frequency of 28,800 vibrations per hour and a power reserve of 72 hours. 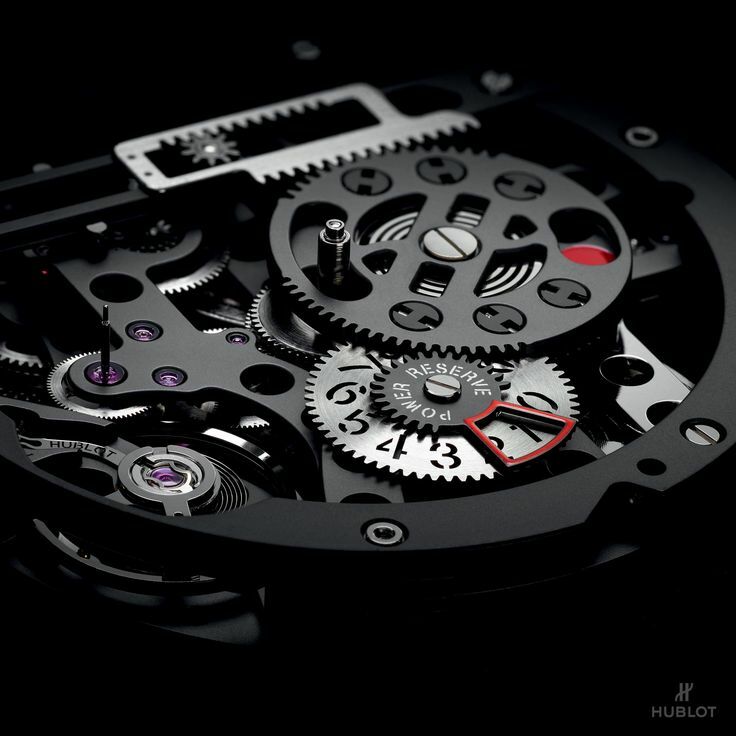 The movement can be seen through the skeletonized dial and also to the bottom of sapphire crystal. 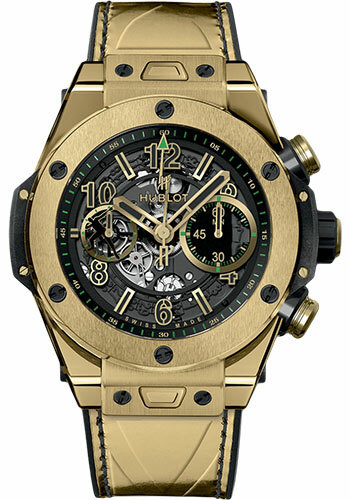 The gold version is a limited edition of 100 units, while the ceramic is limited to 250. 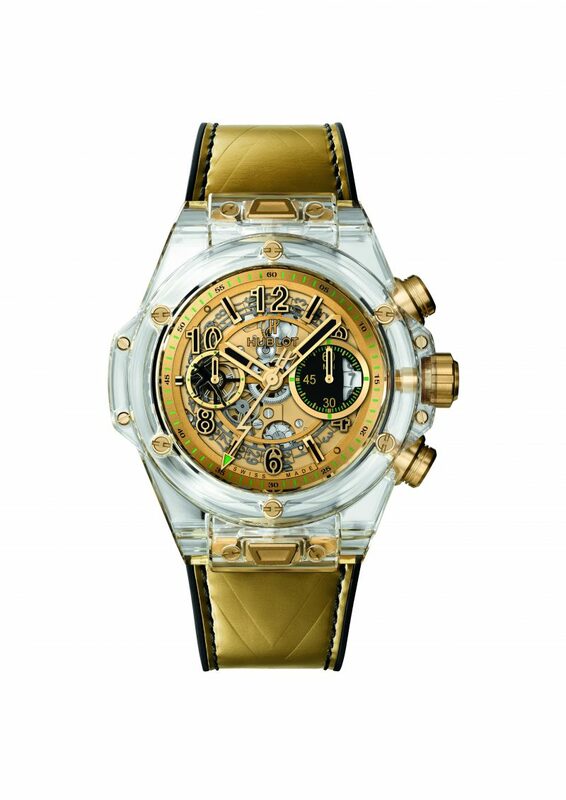 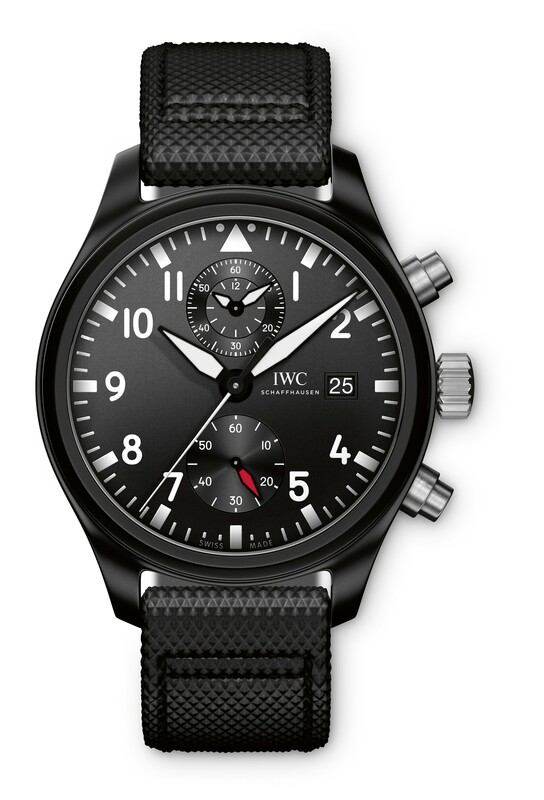 With respect to prices; 41,400 euros for gold version and 21,700 euros for the ceramic version. 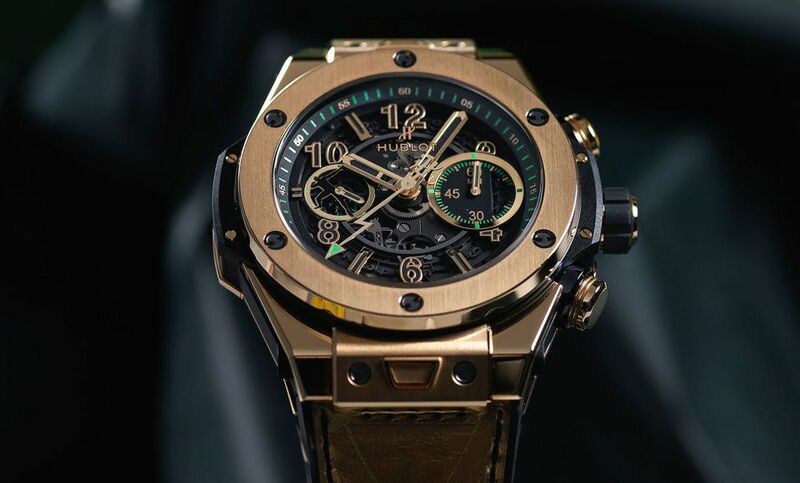 What Next for Hublot & Usain Bolt?